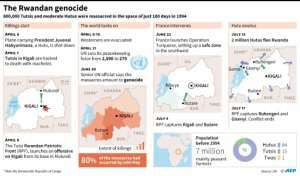 President Paul Kagame said Sunday that Rwandans had become a family again, 25 years after more than 800,000 people were slaughtered in a genocide that shocked the world. 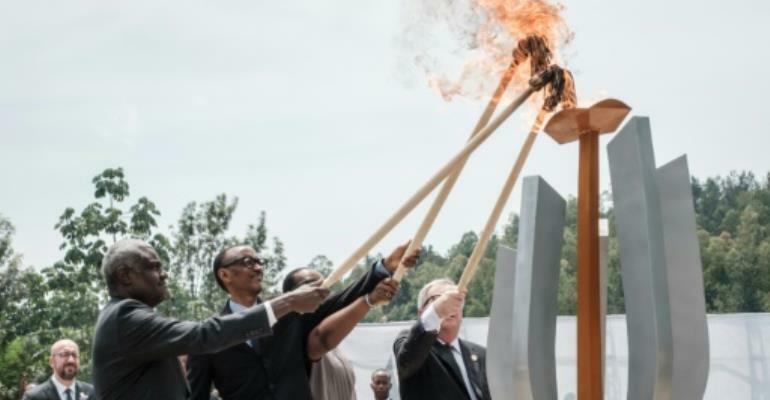 Kagame lit a remembrance flame at the Kigali Genocide Memorial, where more than 250,000 victims are believed to be buried, mainly from the minority Tutsi people, as the country began its annual 100 days of mourning that coincide with the length of the slaughter. "In 1994, there was no hope, only darkness. Today, light radiates from this place ... How did it happen? Rwanda became a family once again," Kagame said. "The arms of our people, intertwined, constitute the pillars of our nation. We hold each other up. Our bodies and minds bear amputations and scars, but none of us is alone. Together, we have woven the tattered threads of our unity into a new tapestry," he said. Kagame will later preside over a vigil at the country's main football ground. 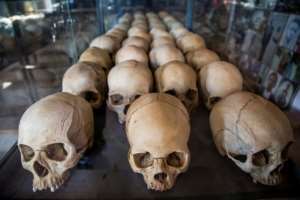 The Amahoro National Stadium -- whose name means "peace" in Rwanda's Kinyarwanda language -- was used by the UN during the genocide to protect thousands of Tutsis from being massacred on the streets outside. 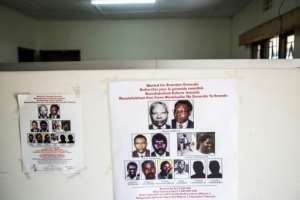 Macron is not the only notable absence; former ally Ugandan President Yoweri Museveni is also not attending, amid a diplomatic spat between the two nations. During his speech, Kagame sent out a warning to those who cross him.